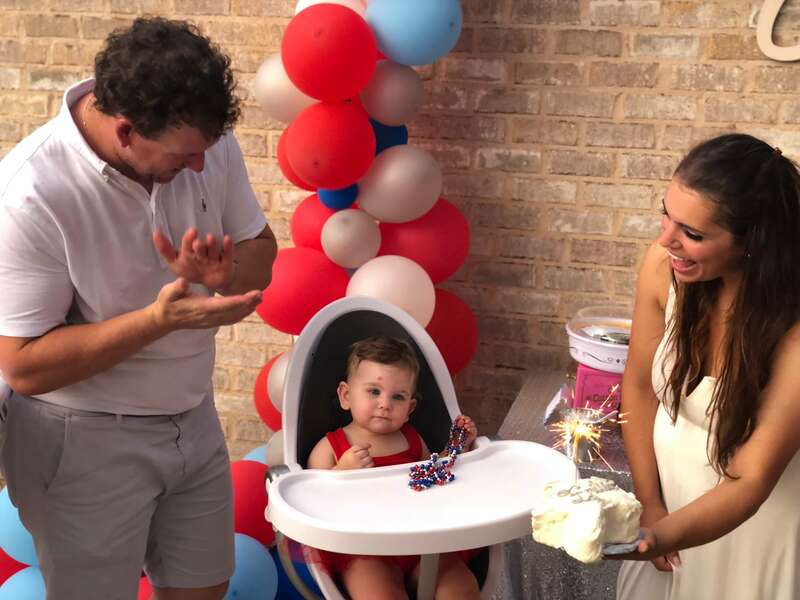 Emilia turned one, and in the words of Katy Perry, baby, she’s a firework! 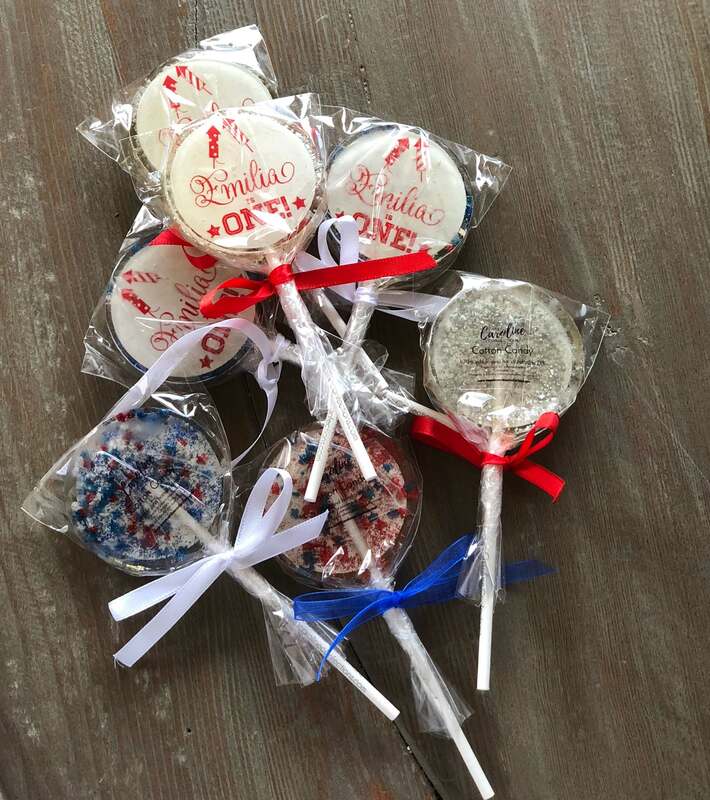 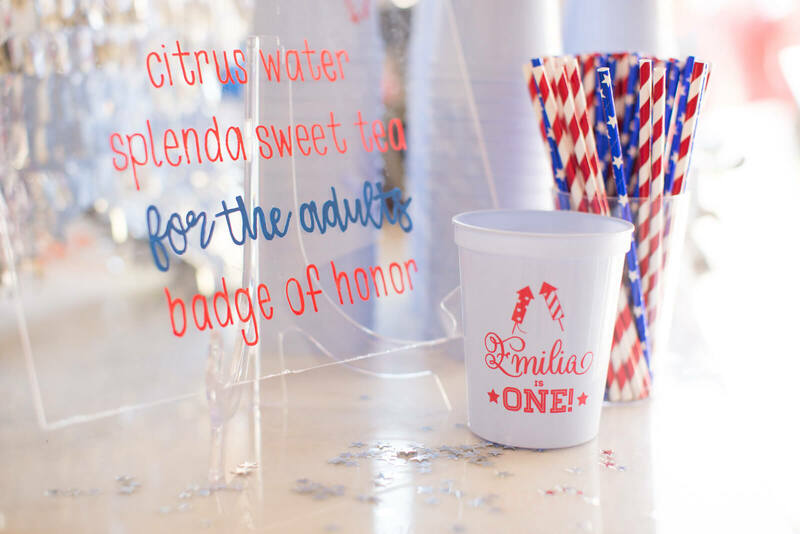 This 4th of July first birthday was the perfect celebration of our country’s independence, AND one year of sweet Emilia! 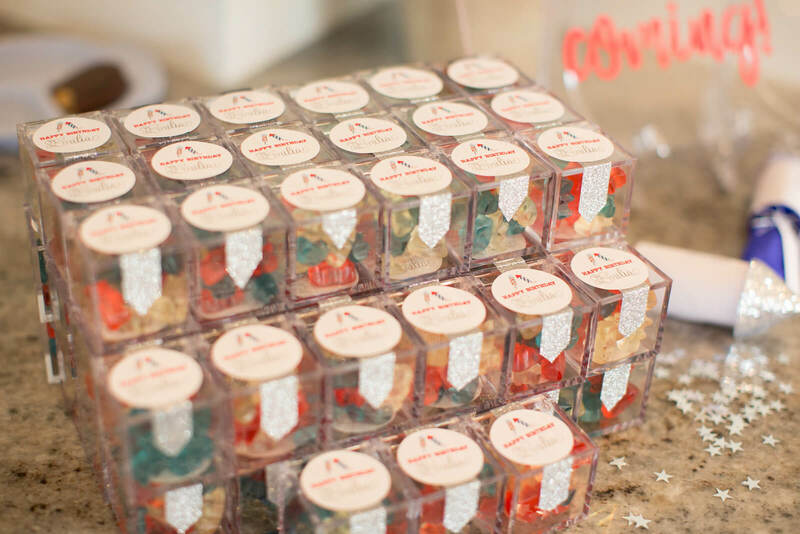 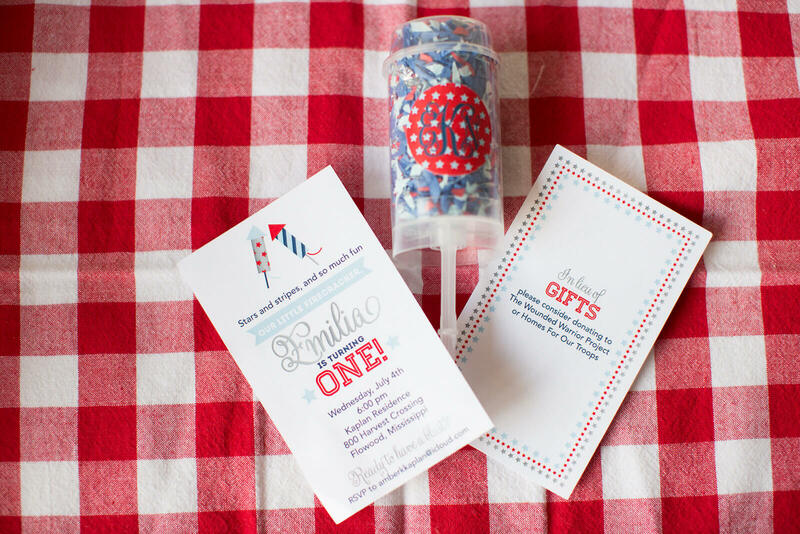 Emilia’s mom wanted invitations to be rolled up inside of plastic fireworks which were hand delivered to guests! 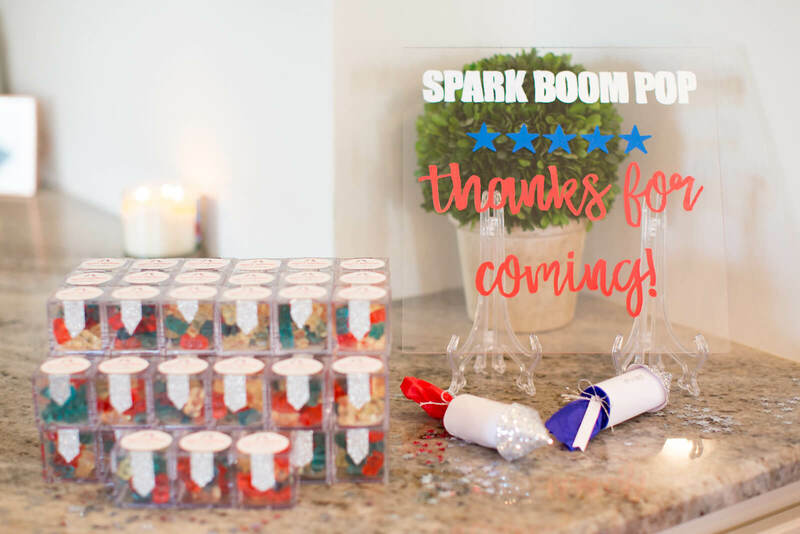 This was such a unique idea so we printed each invitation on a thinner card stock so they could be easily rolled up! 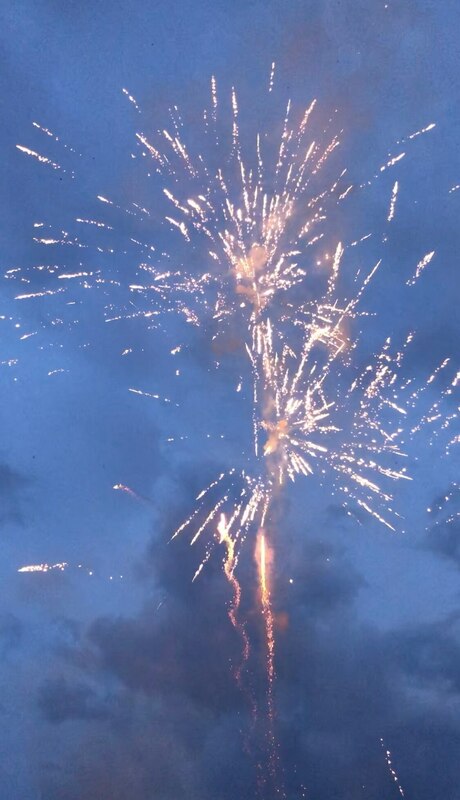 Each firework also had a custom sticker we designed on it as a seal! 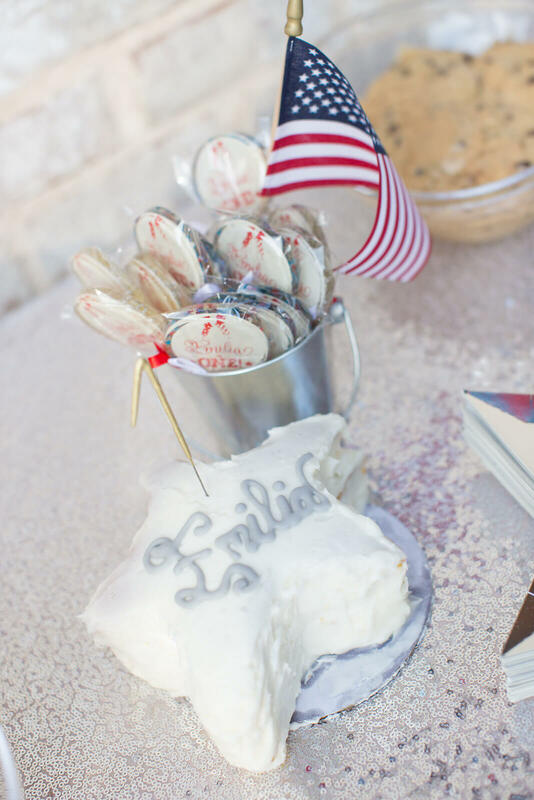 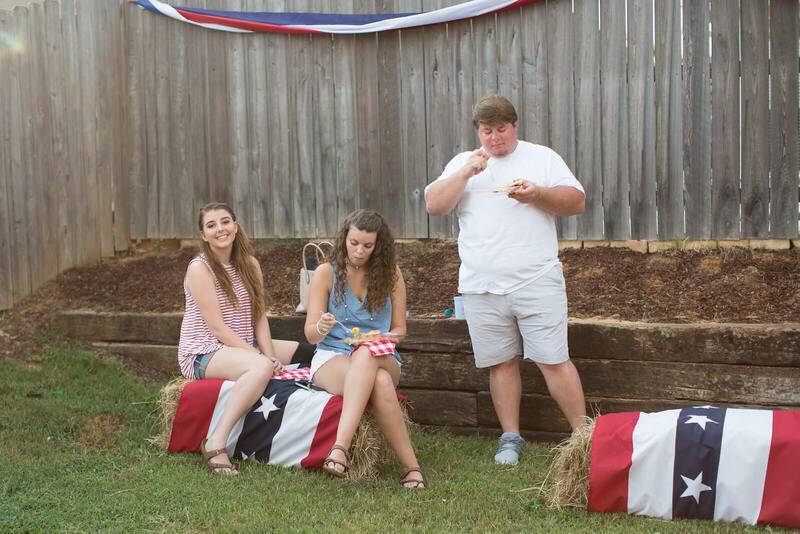 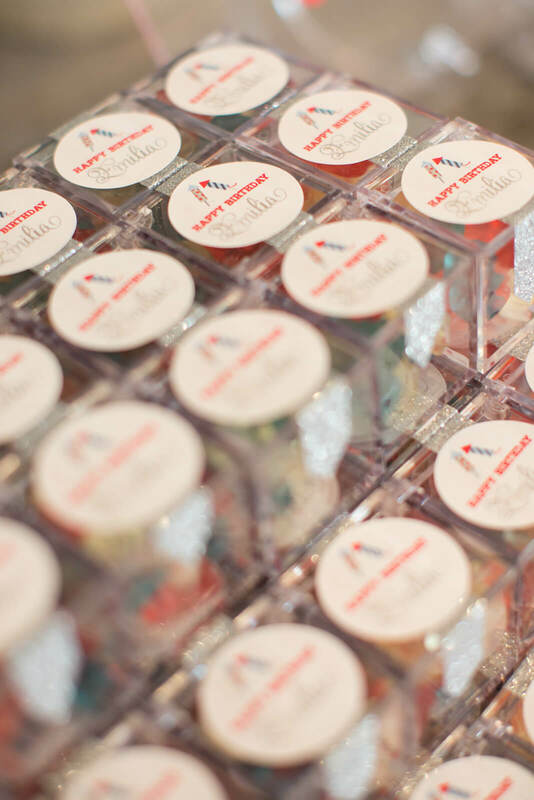 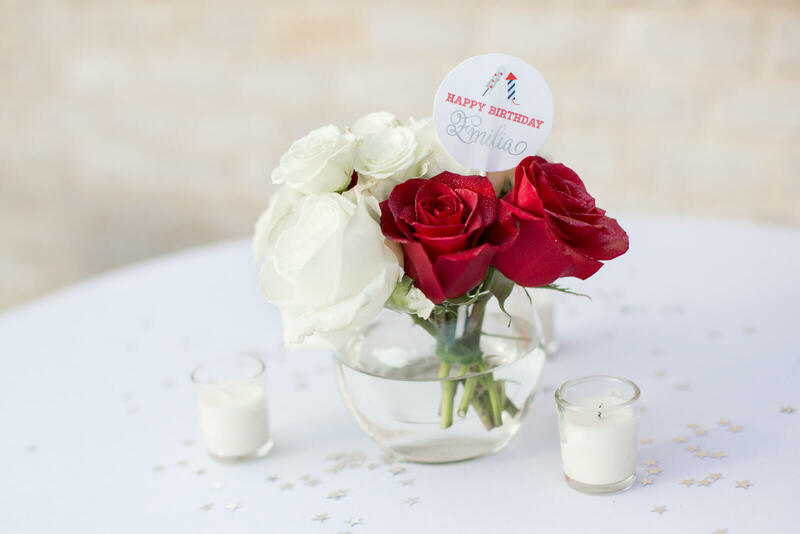 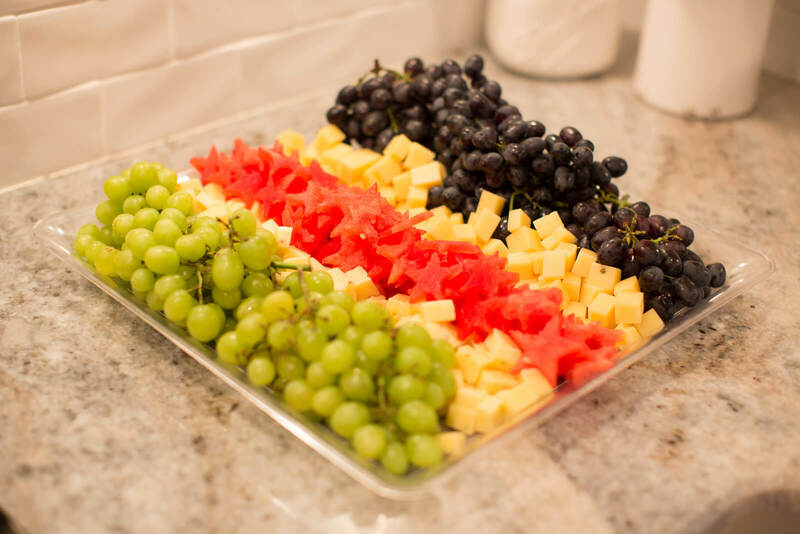 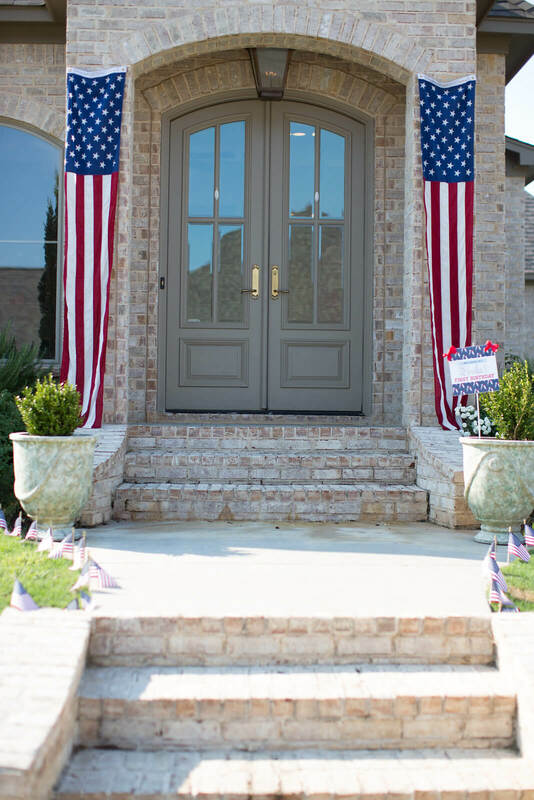 We know it is typically not fun to share a birthday with a holiday, but this red, white, and blue birthday has us seeing stars! 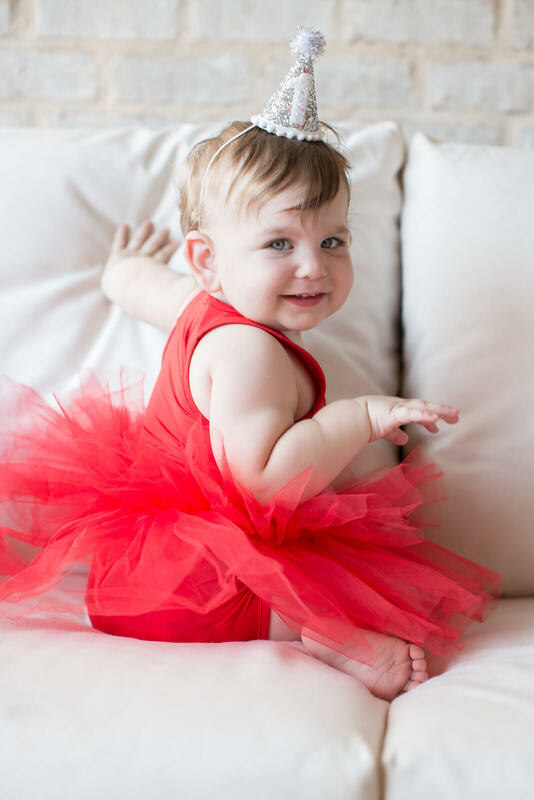 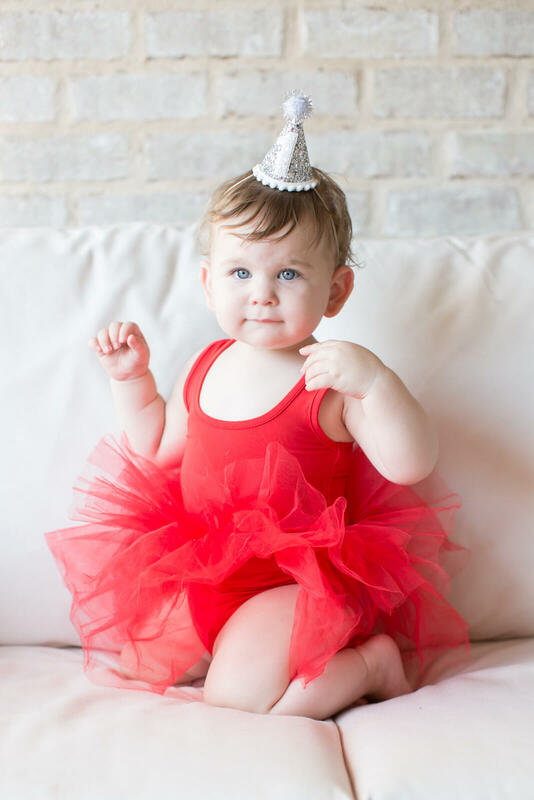 How adorable is she in her red tutu and party hat?! 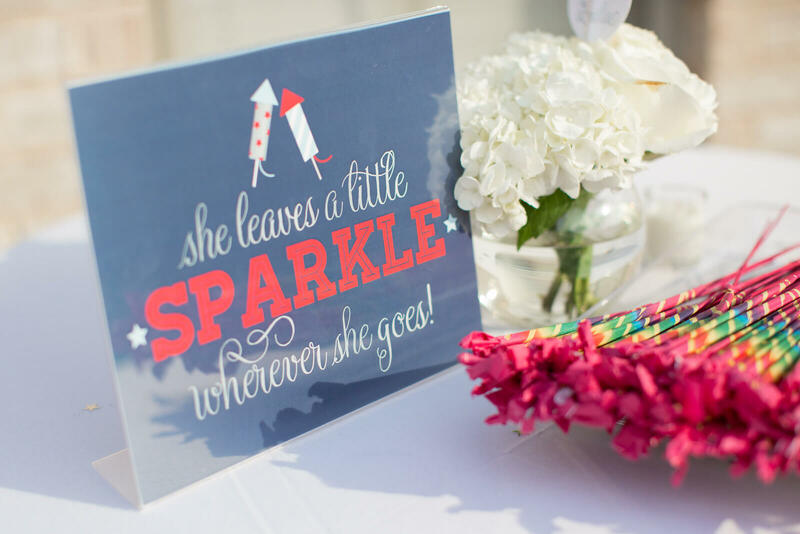 We designed 4th of July themed stars and stripes signage, including one that read, “She leaves a little SPARKLE wherever she goes!”. 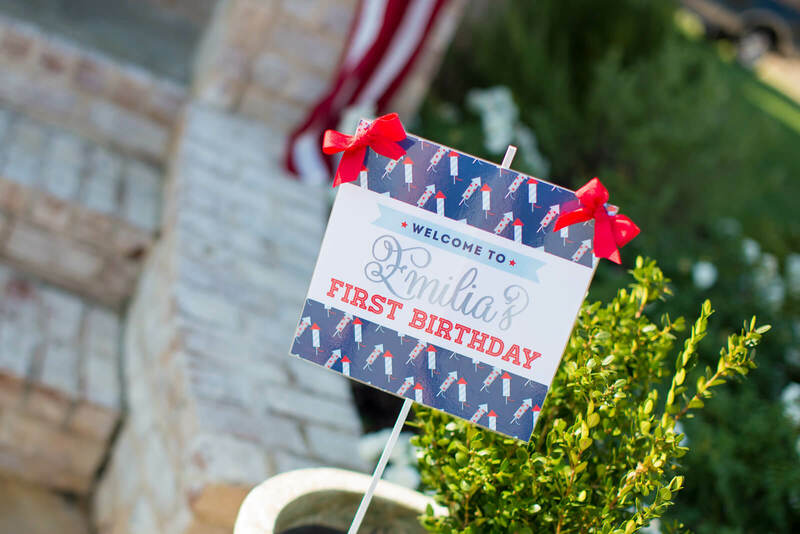 Another favorite was our laminated door sign greeting party guests! 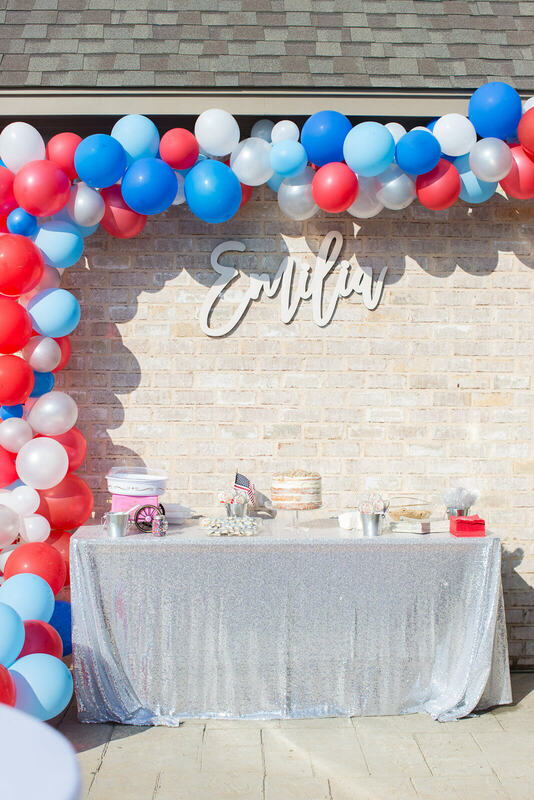 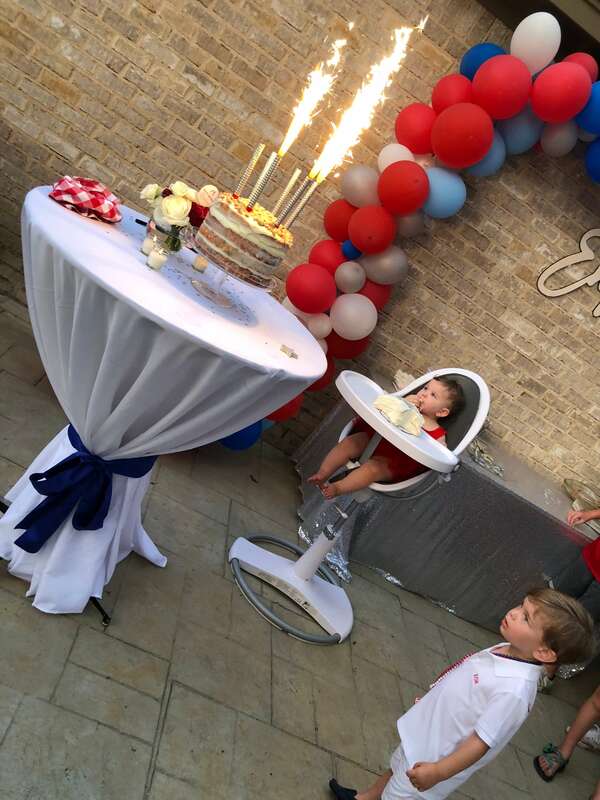 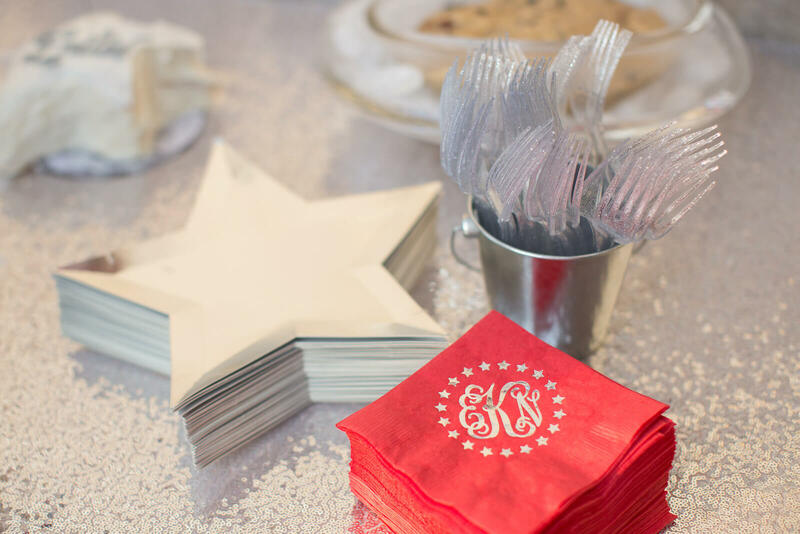 From the custom napkins and cups we designed, to the balloon arch, this 4th of July first birthday was a celebration all around!